Previous PostRails is mucking up my CSS – Already!Next PostWhy are you here? I thought I remembered seeing a similar kind of project in the past six months or so, but all I could dig up was explainshell ( http://www.explainshell.com/ ) which is not even visual… although it is useful. Definitely a good idea — almost a no brainer — why hasn’t anyone done this? It would sure make the CLI much more fun. Simple things can make a big difference: command completion, history, etc — all stuff already there for those who remember how the magical keystrokes. Xcode and friends all give us code completion and other helpers. I’m a software engineer with terminal/shell experience going back 20ish years and this would be really, really, helpful for those commands you just don’t use everyday. I would love something like this. I’m perfectly comfortable using the command line, but I just have terrible memory so unless it’s something I do 10x a day, I forget the relevant commands. This is a great idea! I am also a visual learner and non-technical by trade, although I have been learning how to code with some basic, front-end practice. I think most programmers are non-visual so they have no problem. Making it more visual would definitely make me more attracted to want to learn it. What made me wary of code was the need to have the entire image of what I was trying to build in my head. This would totally change things! I haven’t heard of any changes, but let me know if you find something! Great idea! Outside of the few commands I have memorized from constant use (git add/commit/push, compass watch), I use Terminal along with a browser window for the necessary CL docs. I would love some kind of visual hint like that! As an avid command-line user, the file picker would be a pretty cool (and very welcome) addition. However, I’m not sure how much of an advantage a drop-down of bash-completions affords, since I’ve been pretty well trained to use to list all completions and to select the completion when only one exists. One advantage that comes to mind is that you wouldn’t end up with extra lines being printed to the terminal to go through the exercise, as long as the “magical command line” would automatically trap the sequence and override the default behavior. I don’t think this is a dumb idea at all. I know this isn’t the same thing, but if you have “bash completion” installed, you can hit [TAB] once to autocomplete commands, and twice to show a list of all possibilities. It doesn’t always work and it isn’t nearly as visual as the GUI you’re suggesting, but it’s something! 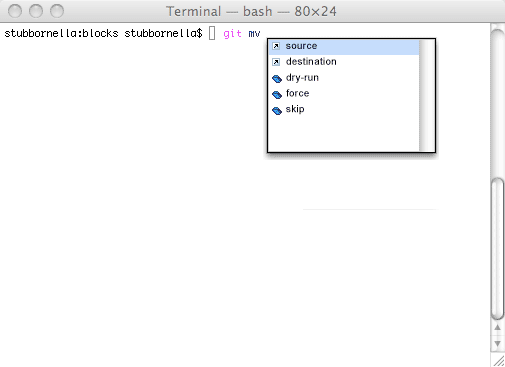 Hitting tab in bash lets you access some of this autocompletion/suggestion stuff. Hi Nicole, 10 months ago I was contracted on a project to help build a living style guide for a python based project that used svn and git. All the engineers on the team used the command line to work with all of these. Before this, I really had no cli knowledge, hell I don’t even think I know what cli meant. I was worried I would screw up my computer if I did something wrong in the command line. It’s like Terminal except on steroids. This will allow you to have a custom color scheme and a nice theme for iTerm. Being a visual learner as well, I agree that the visuals of Terminal are dismal and boring. iTerm’s color schemes and themes are 100% better than what you can do in Terminal and add a level of understanding when working with git repos. Immerse yourself in command line tools. Instead of using a GUI to work with git, force yourself to use the command line. This helped me build my knowledge and made me more comfortable working on the cli. After working with git on the cli, I started to get into other cli based projects like yeoman, grunt, etc. This helped broaden my understanding of the command line. Keep a list of common commands. When I first started out I had like 5 or so commands I always ran. I wrote them down and would refer to this list whenever I needed to run them. Soon they became second nature. 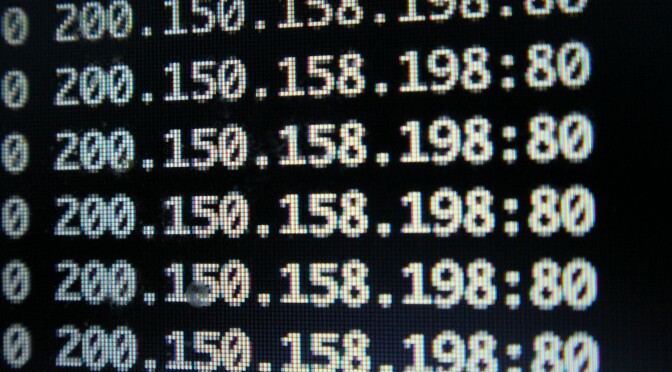 Set up aliases for your common commands. Instead of typing git checkout -b my-feature-branch you can set up an aliases and type gco -b my-feature-branch. There are a few articles out there on git aliases and shell aliases in general. Lastly, if you can, work with people who really know the command line well. I work with a ton of engineers and everyone knows the cli. I know that if I feel like I’ve messed something up working in the command line, I can do a google search, or usually quicker, I can talk to one of the other engineers. So far I’ve stumbled through the command line and have become more and more comfortable in the last 10 months plus I have not screwed up my computer as I feared I would when I first started using the cli. In regards to opening a finder app of the directory from the command line you can run the following command from your shell to open up the current directory in the finder app. oh-my-zsh is great, but not only useful for themes. There are many plugins available that could be easily enabled in your .zshrc config file (git, osx, brew, …). Most of the plugins offers a more detailed auto completion and they already have most of the aliases build in. One of my favorite plugins is wd, which let’s you jump between directories using self defined aliases. That’s a big time saver. I would pay $5 for this. It’s definitely worth more, but I would definitely pay $5 for it. At least the first part of your wish list is kind of built in to bash. 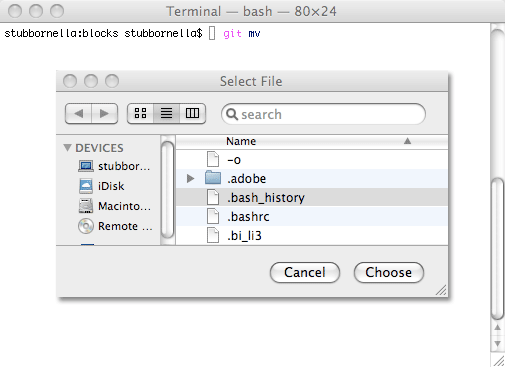 If you type a few letters and hit tab, suggestions will be offered to you by the bash prompt. You are limited to executable commands for the first part of the command and files relative to the current working directory for the rest of it. There is not tab completion (yet) for commands. 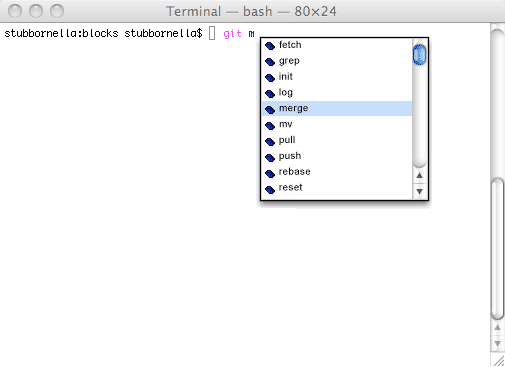 Honestly, git/svn/cvs all are kind of “broken” as *nix command line tools. A “proper” *nix command line tool should not take commands but instead should use only dashed flags. 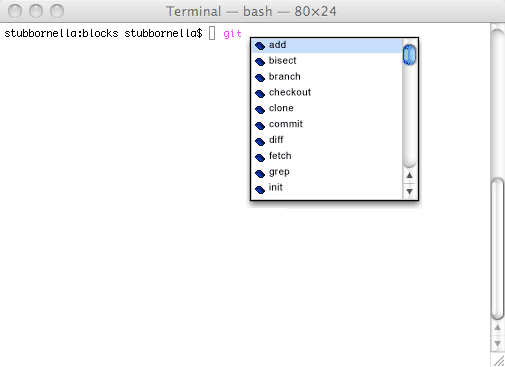 Still, having an autocomplete of any command line tool would be quite nifty I agree. I think idea definitely holds up, still. I often hit twice to see the options available in plenty of commands that I type. Having an auto-complete prompt would be a much more user-friendly way of accessing the information though (and less keystrokes!) We’re also already used to this concept with modern code editors. This seems like a genius idea to me. I’m not all that uncomfortable with the command line, nor am I seasoned expert. But I do find myself constantly looking up options and flags for commands that I’ve used in the past. My productivity would definitely improve. Wait, why hasn’t this been made before again?! 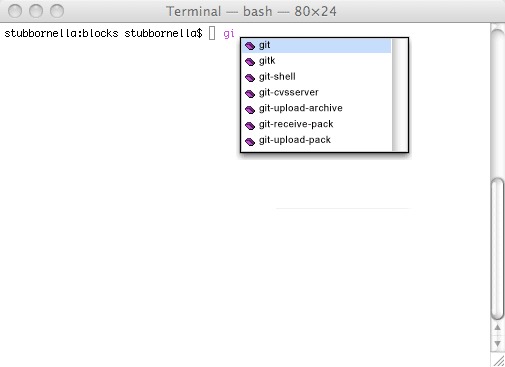 Much of this is available for git already, although not with the nice gui popdown. The git implementation is here https://github.com/git/git/blob/master/contrib/completion/git-completion.bash but this is also extensible so you can have completions for many other things as well. The gui popup would certainly help keep the scrollback log clear of the bit of noise from the suggestions and even better you could do fuzzy vs. prefix matching, etc. I would definitely use this for the odd occasions when I drop to the terminal. As a developer who doesn’t get to code very much any more, the intellisense tools in Visual Studio for different languages are a lifesaver. I jump around various operating systems and IDEs but don’t spend enough time doing any one thing to maintain any kind of muscle memory, so something like this would be a great addition to my toolbelt. You Know that all of this is available with bash completion and especially for git I seldomly hit more than 2-3 characters before I autocomplete with TAB. Instead of dropdowns (who would want to flip input devices from keyboard to mouse just to clock through a gui file picker btw?) You hit Tab and get a list of suitable completions or it autocompletes ommrdy if there is only one possibility. Same for files/paths of course.